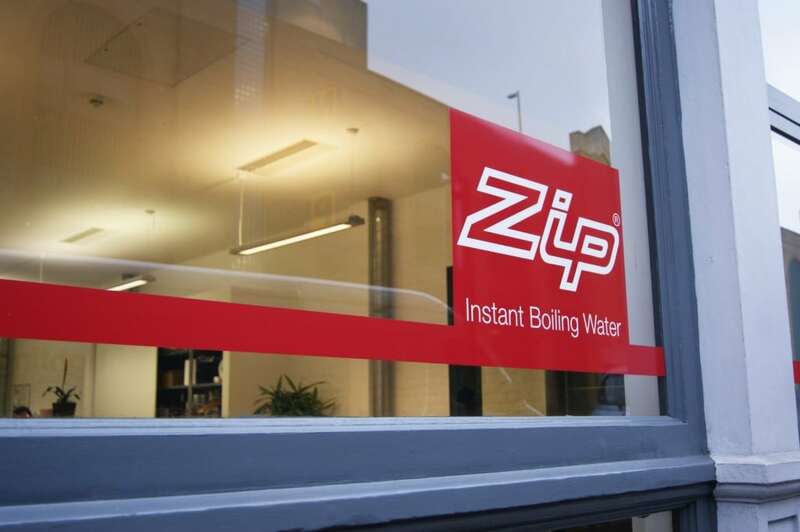 I and my Zip colleagues welcomed guests, who consisted of designers, showrooms and specifiers to the Zip showroom in Farringdon Road, Clerkenwell. They were taken on a tour of various display areas within the building, including Zip’s instant drinking water products before networking in our high-tech kitchen area where executive chef Nigel Smith and celebrity chefs such as Aldo Zilli and Giancarlo Caldesi are often seen demonstrating Zip products in use. The majority of the time, however, was spent in our specially designed training room, where we regularly provide free of charge dedicated hands-on training to clients and specifiers. The guests were educated on the history of Zip, and how the recent acquisition by Quadrant has contributed to Zip’s position as world leader in instant boiling water provision. The discussion was mainly centred on the use of our premier product, HydroTap in the home environment. It was helpful that one of the guests was already a proud owner and contributed her views on the benefits. Points were raised about its sustainability advantages and how they added value to the everyday household activities, while also briefly touching on how the value derived could enhance a commercial environment, especially where there were large numbers of staff involved. The Zip InLine instantaneous water heating range was introduced, which created some interest with the guests. The conducted tour continued with visits to the main work areas and an offer was made to make the facilities available to SBID members for use as a training venue for CPD training. Each guest received a Zip good bag and, hopefully, a reception from Zip that was beneficial. Overall, the day was of significant benefit to Zip, as we had an opportunity to meet up with contacts that were previously unknown to us and the feedback received from our guests were all very positive. Written by Richard Pitman, Regional Sales Manager – London for Zip Heaters.